The Empower Us Action Team are a group of experienced volunteer self-advocate leaders from around the world who work with Inclusion International on Empower Us. The Action Team use their skills and experience to work on Empower Us. 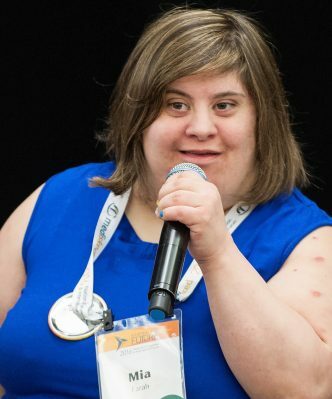 The Action Team support and train Inclusion International members on self-advocacy and inclusion, including people with an intellectual disability, their families and organisations. Our Action Team will grow and include more self-advocate leaders who will work on Empower Us as we continue our work. If you are an experienced self-advocate leader you can use your knowledge and skills to help others to use their voice and speak up for inclusion by joining the Action Team. Your work on Empower Us could make a big difference in the lives of the people with an intellectual disability and their communities!